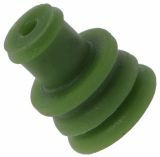 Grommet RJ 45 green Grommet RJ 45 green 25х15х15 mm. Boots Cap Plug for RJ45 flexible, black RJ45 Boots Cap Plug, black. Boots Cap Plug for RJ45 flexible, red RJ45 Boots Cap Plug, red. Boots Cap Plug RJ45 white, grey Boots Cap Plug RJ 45 white or grey. Boots Cap Plug for RJ45 flexible, blue RJ45 Boots Cap Plug, blue. Handle for contact nozzle, 6.3 x 0.8 mm, red Cable grommet measuring 10 x 5.5 x 21 mm. Screwed spacer sleeve, FIX-3-15, polyamide, 15mm, ф 5mm Screwed spacer sleeve FIX-3-15, cylindrical, with a length of 15 mm. Screwed spacer sleeve, FIX-3-10, polyamide, 10mm, f 5mm Screwed spacer sleeve FIX-3-10, cylindrical, with a length of 10 mm. List Price 0.20лв. VAT Incl. 0.17лв. VAT Incl. 0.15лв. VAT Incl. 0.13лв. VAT Incl. 0.12лв. VAT Incl. Screwed spacer sleeve, FIX-HP4-30, polyamide, M4, 30mm Screwed spacer sleeve with internal thread M4 FIX-HP4-30, hexagonal, with a length of 30 mm. Screwed spacer sleeve, FIX-HP4-20, polyamide, M4, 20mm Screwed spacer sleeve with internal thread M4 FIX-HP4-20, hexagonal, with a length of 20 mm. Screwed spacer sleeve, FIX-HP4-10, polyamide, M4, 10mm Screwed spacer sleeve with internal thread M4 FIX-HP4-10, hexagonal, with a length of 10 mm. Rubber Pass, 30х14х12mm Rubber Pass , 30 х 14 х 12 mm. Wire Seal, Ф5.5х7.7mm Wire seal for AMP connector with external diameter of the wire 1.4 to 1.7 mm. List Price 0.15лв. VAT Incl. 0.14лв. VAT Incl. 0.12лв. VAT Incl. Wire Seal, Ф5.5х7.3mm Wire seal for AMP connector with external diameter of the wire 1.8 to 2.4 mm. Wire Seal, Ф5.5х7.7mm Wire seal for AMP connector with wire external diameter 2.5 to 3.3 mm. List Price 0.10лв. VAT Incl. 0.09лв. VAT Incl. 0.08лв. VAT Incl.